We are always searching for new partners in our MMR Affiliate & Marketing Programs! If you feel we can mutually benefit from a partnership program, please send along your information and related links for us to research. We will be offering product placement in our ads, website, on-site at the properties we visit (apparel & products we use in the field), and even on our automobiles and UTVs. And if you have a product you'd like for us to test, please let us know! We test all hunting products and write full reviews and share them with all our clients! 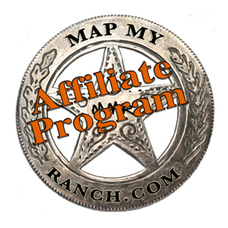 Contact George Blitch at george@mapmyranch.com for more information, today! Head and Antlers above the Rest! Chas-Mac is owned by Charles and Elaine Reneau, and is located in Houston, TX. Chas-Mac strives to make their customers happy and they will always try to help in any way to see that you will receive the very best price, service and delivery. 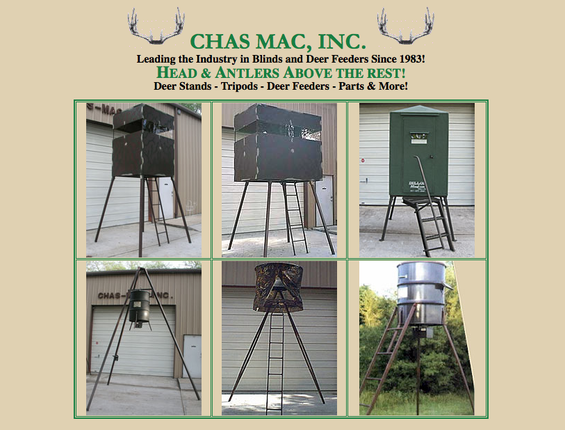 Chas-Mac has been in business since 1983 and has become the industry leader in stands and feeders. They stand behind what they sell and all work and products are backed by a suitable guarantee. They do repairs and modifications to all stands, feeders, timers and other items that they manufacture. 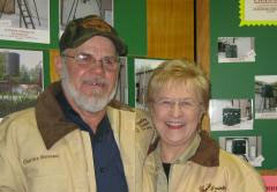 Visit www.Chas-Mac.com today - and learn why they are, "Head and Antlers Above the Rest!" 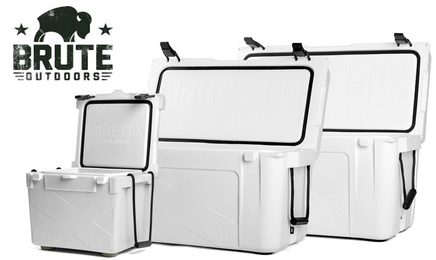 Brute Outdoors was founded with a vision to provide the best cooler available to every outdoorsman. Based in Fort Worth, Texas, we’re committed to manufacturing superior ice chests, building great accessories and providing a level of customer service that can't be matched. Our coolers are Made in USA with the strictest quality standards so you can rest easy. Whether you're looking for a small everyday personal cooler or a bigger 50 Quart ice chest for tailgating, we've got you covered. If you're interested in a 75 Quart marine cooler, a 100 quart hunting ice chest or a 150 quart cooler for off shore fishing or big game hunting then we have a size to fit your needs. Big Country Outdoors offers a wide range of hunting high racks (with roof systems, roof baskets, roll bar baskets) to fit the Polaris Ranger, Kawasaki Mule, John Deere Gator, Yamaha Rhino, Big Red Honda, Jeeps & Pick Up Trucks. Products are also offered in steel bed lined or aluminum Tough Coated (a bed liner material). Not only does Big Country outdoors carry everything you need for your UTV's, the company also offers other cool hunting items, such as: Brute Coolers, Brush County Camo gear, Kolpin gear, and more! As an avid hunter & current hunting guide, the owner, Mr. Fulweber, only offers products that are practical to use in the field, the "stuff" that works. Call today & talk to a Big Country Outdoors' Outfitter, see what years of hunting experience can bring to your next adventure. And remember to always go big....Big Country Outdoors! DeerView Window Co. was opened up by Tyler Ray to give hunters the ultimate deer stand/blind window applications for their various hunting endeavors. We are located in the Mansfield, TX easily accessible from Hwy 287. We currently offer six (6) different styles of window units, along with our custom door line as well. All of our products are designed with hunters in mind. We custom build each unit to fit the individuals needs/desires. Silencer Shop offers excellent prices on top brand suppressors to customers nationwide; with a focus on exceptional customer support and follow-through. We are a stocking dealer for AAC, SWR, SilencerCo, Gemtech, Liberty and YHM. Silencer Shop is owned by Hill Country Class 3 and operates out of the beautiful hill country of Austin, Texas. Check out www.3Dblindsandfeeders.com for some great products! They can even customize blinds, feeders, and traps just for you! The build plans for these stands contain a complete materials list, a tools, list, step by step instructions, and a whole bunch of "how to" pictures. Pay by personal check or money order when you receive the plans. Get info or Order Now by email: highchairstands@cox.net - provide your mailing address and I'll get them out ASAP! Jim Smith is a Master Craftsman, working with rattlesnakes and other snake skins, to produce the finest quality leather products - rifle slings, wallets, belts, pistol holsters....you name it, and he's made it! I can assure you that you will not find a better place to get your hunting accessories, gifts, and the next great idea! Send us an email for more information on the latest product line for 2013.